Description: People at DEFROST are involved in the creation of the sofa-framework dedicated to the real-time modeling of soft-tissues for surgical simulation. The team will continue to participate the development of SOFA to be able to model and control soft-robots interacting with complex environment. Description: This SOFA plugin faciltate the modelling and control of a soft-robot. The real-time control of the desired motion of the soft-robot is made possible with the use of a very fast inverse Finite Element method. This project was financed by Inria: ADT DACCORD. Contact person: Olivier Goury and Felix Vanneste. Description: This plugin guides you through the steps to build a reduced version of your SOFA simulation that you can run at high frame rate. Description: A dedicated tutorials to learn about soft robots simulation in a pedagogical way. Description: The purpose of those tutorials is to create soft graspers. Documentation and all resources needed to create the graspers are available on the development repository. Tutorial about Modelling and Control of Soft Robotic Manipulators, given at the first IEEE-RAS International Conference on Soft Robotics – RoboSoft 2018, in Livorno, Italy. 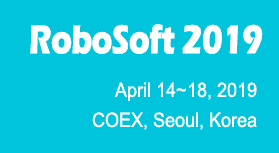 Tutorial about Modelling and Control of Soft Robotic Manipulators, given at the second IEEE-RAS International Conference on Soft Robotics – RoboSoft 2019, in Seoul, Korea.